We don't often think much of the Florida fall landscape, but this is the perfect time of the year for planting…well, just about anything! The leaves may not be changing, but our yards are about to. Gardening in Central Florida is ideal in the cooler fall weather. The drop in temperature takes some of the stress off of the root systems of our plants, vegetables and grass. Taking this opportunity to have fresh sod placed on your yard will allow it to take root and prosper with less need for watering. 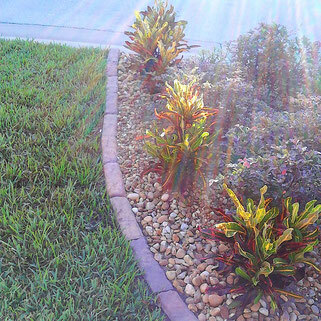 What Florida fall landscape would be complete without mulch? Get that pop of color we miss this time of year by having a fresh layer of mulch put in! It comes in a variety of colors and has the added benefit of holding in moisture to allow for less frequent watering. This is fantastic news for your fall landscape because it will only help your freshly panted to flourish.